How do you feed your family with layoffs, high prices and no time. You can do it! Just try these 7 meal ideas to feed your family for $30 this week! Use the chili stater (made by Bush's beans), tomatoes and the hamburger to create quick and tasty chili. You can add some of the onions if you want for taste. Follow the instructions on the can. Make loose roast beef sandwich with leftover roast. You can top with BBQ sauce if you have it. Serve with chips. Chicken noodle soup. Boil the chicken thighs for 1.5 hours. Remove them add veggies left from the roast and egg or spaghetti noodle. Debone the chicken and add it to the soup. This will make a big batch of soup. Spaghetti night - make spaghetti with hamburger and sauce or save even more money and use ground pork. Serve with bread or mix garlic powder with butter to make your own garlic bread plain or toasted. 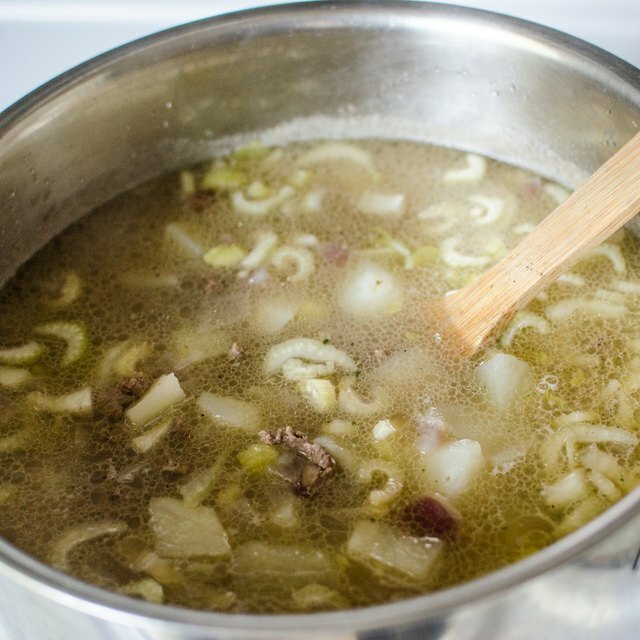 Reheat leftover soup for another night of hearty soup and a quick meal. Last meal cook ham or ham steak. Cut up and cook with the augratin potatoes. Great quick meal and all this for $30 a week. I know this is only one week - change things up but stay on budget. How Long Does It Take to Cook Onions in an Oven?